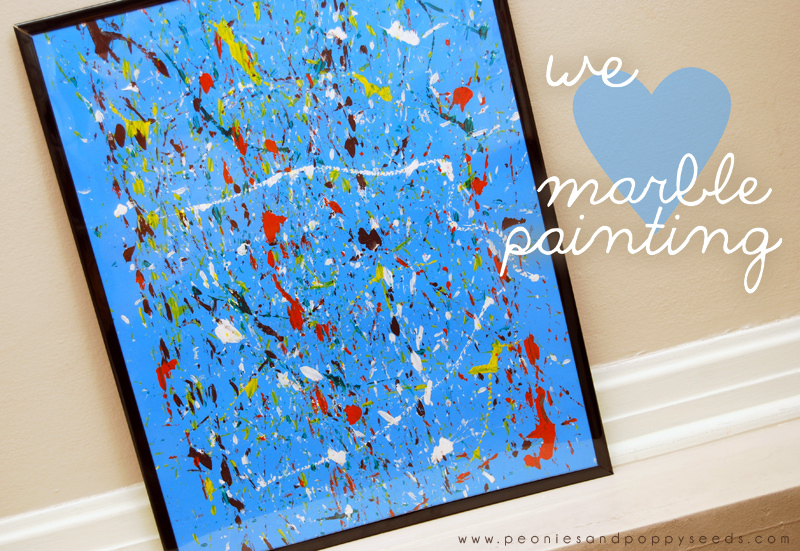 We like messy activities at our house, and painting with marbles is one of our ultimate favorites. Plus it has really cool results, and you can even display it without it looking like a 3 year old made it (even though they did). 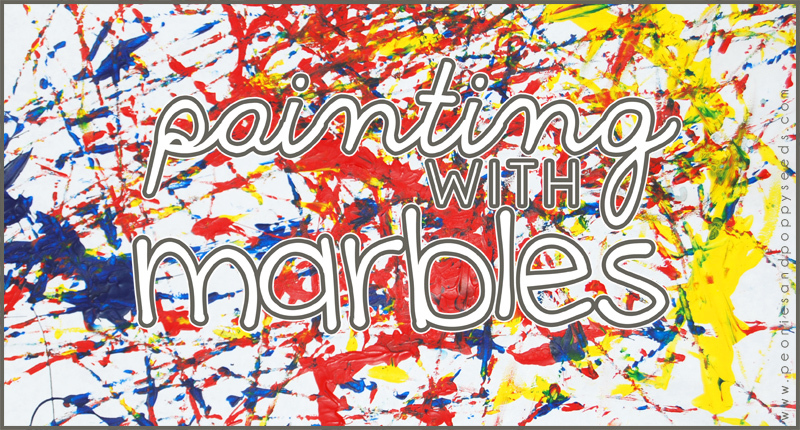 • marbles (of course) but you can also do paintings with hotwheel cars, or plastic dinosaur feet, or lots of other creative things. 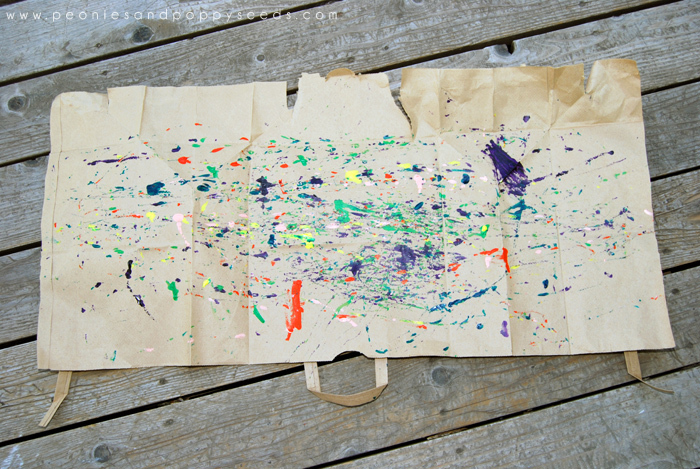 So, put your paper (or whatever) on your white erase board (or whatever you're using). And then squish some paint onto it. 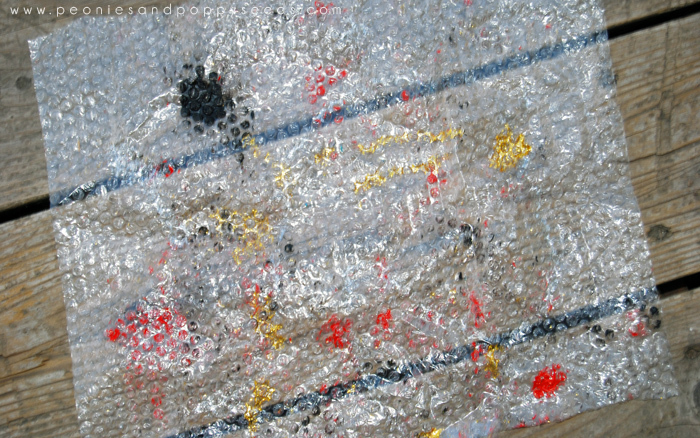 At first I started with really huge glops which actually made the marbles get stuck easily, so I would suggest using smaller and more dispersed paint glops. 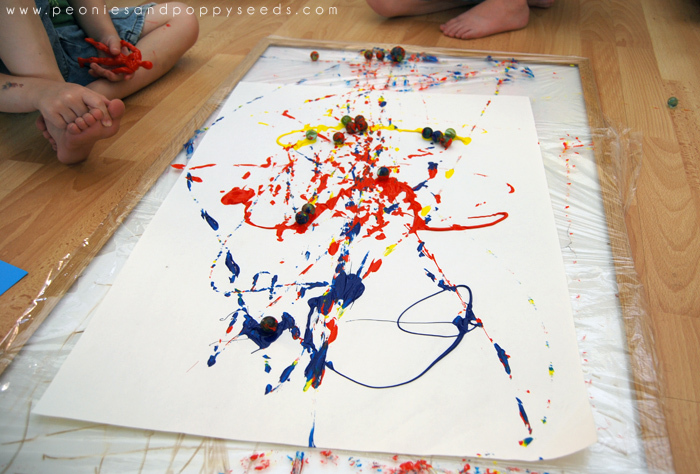 Then grab a bunch of marbles and start rolling them around in the paint. 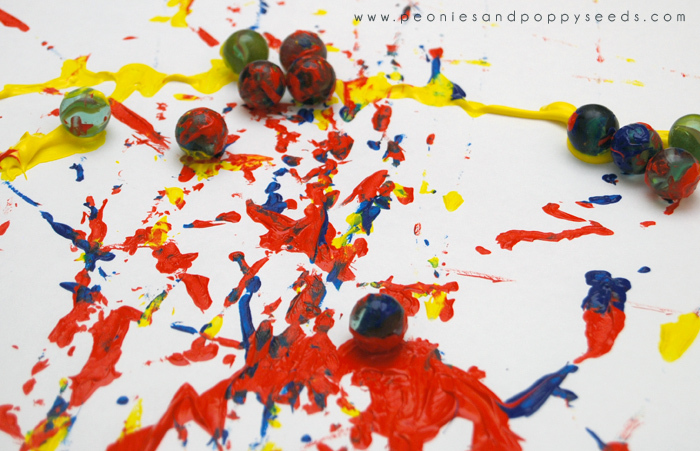 If you're using a box you can tilt the box to get the marbles to roll. We tried doing that with our setup, but it was easier (and more fun) just to roll the marbles back and forth to each other. 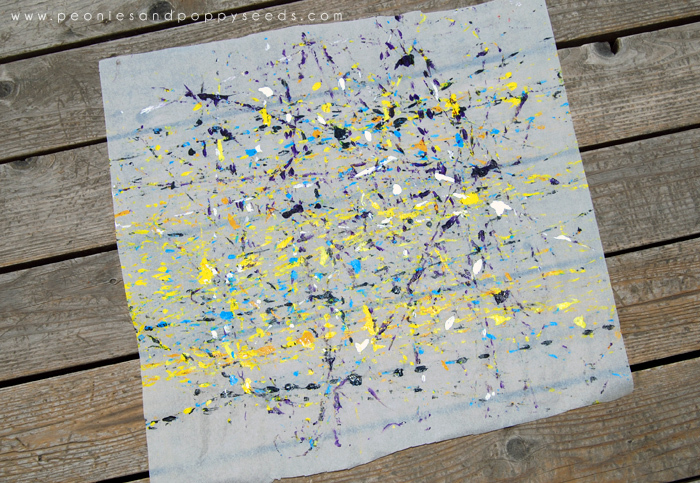 My methods are, of course, the messiest possible way to do a marble painting (aside from using your feet, I guess). 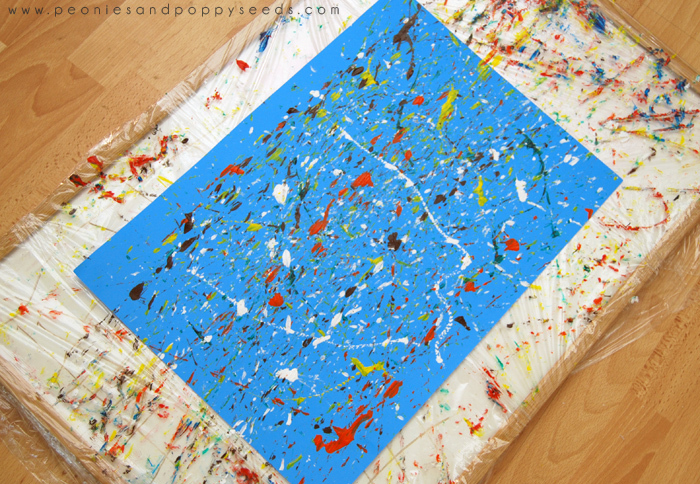 But it's also really great for sensory processing and fine motor control, and my boys loved it. And this is why I covered my white board with plastic wrap. Also, we painted our kitchen floor a little bit too, but it washed off. 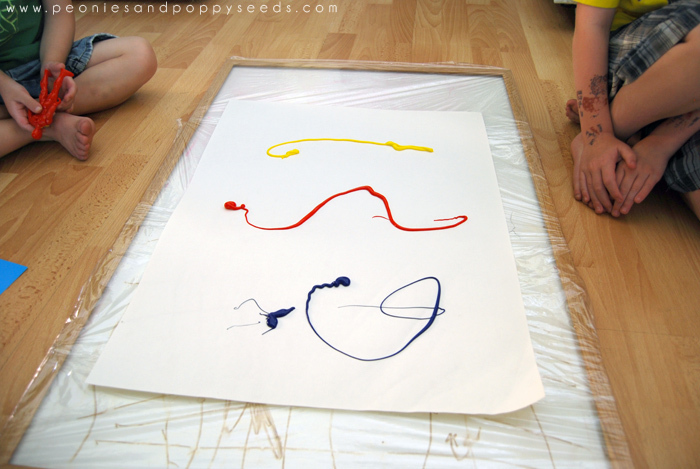 My favorite was when we used acrylic paint on blue posterboard. We're totally displaying it to the world (or anyone who walks down our stairs). 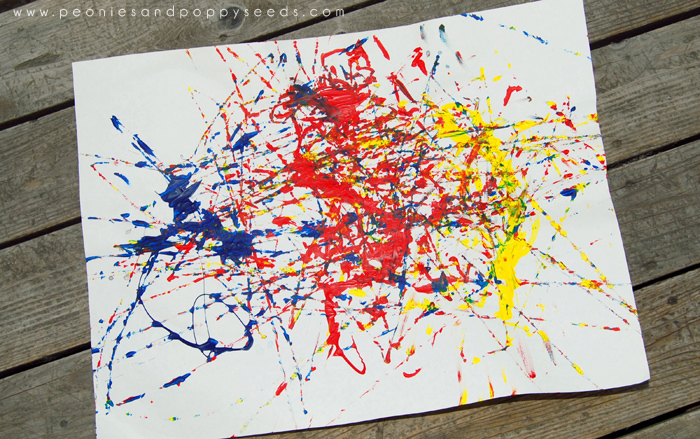 Jackson Pollock, eat your heart out.